Price Reduced on this Great Investment Opportunity or an Opportunity to bring History back to life. 6500 sq ft retail space with an additional 6290 of Apartment space. Park Hills VERY OWN, Old Vineyard Motel (or once referred to as). Many Possibilities, just needing someone with a Vision or a Plan. 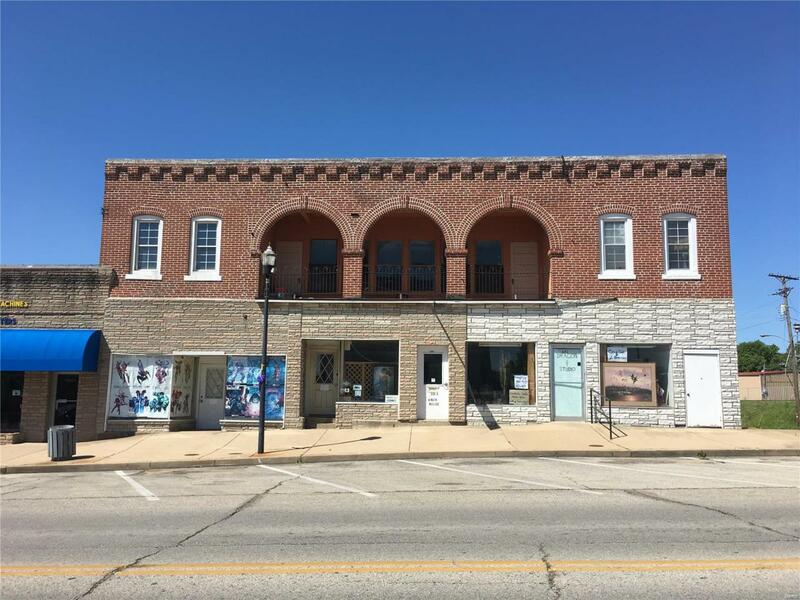 Currently Leased as Store Front Retail Space, Multifamily Dwelling (could be 6+ units) with Large Common Area and Laundry Facility, Remodeled 2 Bd 1 Bth Unit with Spacious Walk in Closet, and Personal Exterior Entrance/Exit Door to 2nd Story Rear Stairwell from Back Alley. Over sized Storage area in Lowest Level filled with Supplies for property repairs and remodeling. Front of Lower Level has Wide Stairwell leading up to Downtown Sidewalk Area. Property includes Garage with Overhead Door. 2 Story Covered Balcony overlooking High Traffic Downtown Street.